Jaunpur has best quality of hospitals to serve the medical requirement of this city along with the nearby locations. Hospitals of Jaunpur are well maintained and are well connected to various nearby cities and towns. Several government health schemes are also promoted and implemented by the hospitals in Jaunpur to the poor and needy residents. 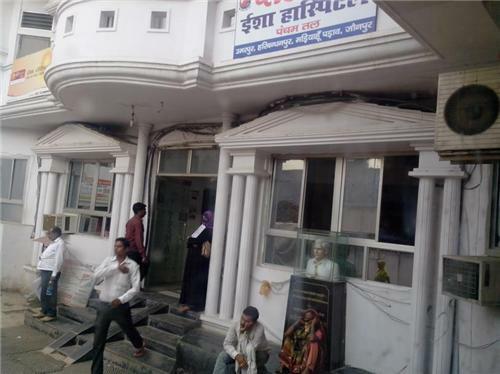 The public hospitals of Jaunpur provide free medical treatment to its patients. Jaunpur has various specialized hospitals that are classified in sections like eye hospitals, dental hospitals, maternity hospitals, private hospitals, children hospitals, public hospitals, CGHS hospitals, etc. All these hospitals are specialized in their section of treatment. They are also well facilitated with ambulance services to refer any patients to big hospitals of nearby cities. The list of hospitals in Jaunpur is provided below along with their address and contact numbers. 30 october 2017 ko meri beti ka janmyha hua tha jisame mai Janani suraksha yojana ke tahat mai 04/1/2018ko apply kiya tha jiska ragister no.9493 hai lekin iska paisa abhi tak nahi .kripaya karan kya hai jarur batae dhanyvaad.